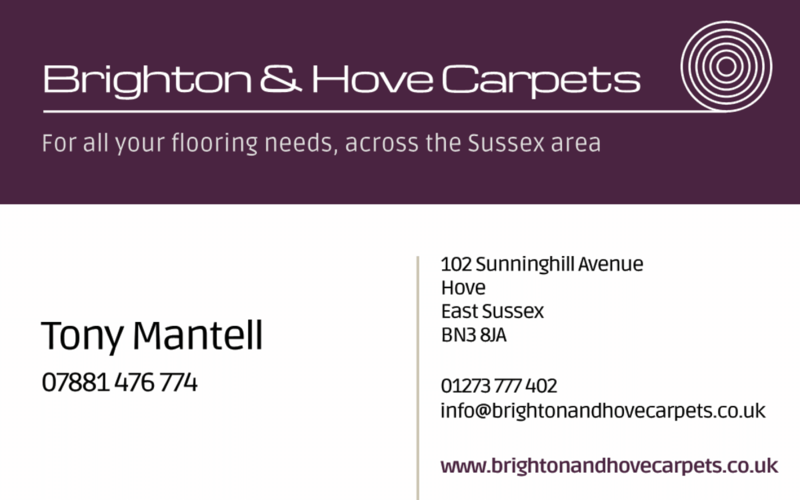 Following development of a new website and a brand identity, Brighton and Hove Carpets needed some business cards in order to further improve the professionalism and consistency of their customer-facing materials. The cards were designed in Photoshop to print-resolution and uploaded to a digital online printer who prepared the cards on high-quality thick card. Let’s make you a great website!